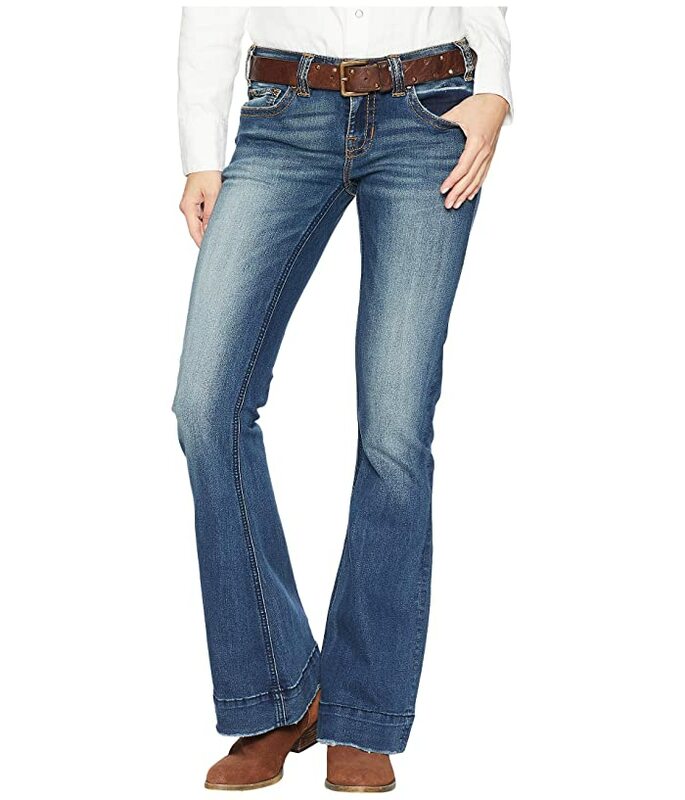 Put on some disco tunes and put your Pacer in overdrive with these charming Rock and Roll Cowgirl® Trouser Jeans in Dark Vintage W8-7683. Mid-rise pant is straight through the hip and flares out at leg openings with a rough hem. Medium washed denim features hand-sanded whiskers and an allover fade. Zip fly with double button closure.